Years after Edward Harrell had overcome the affliction of the lupus strain, which left him with deformities in the spine and legs, his research turned to a more altruistic approach, applying the information derived from his cure of the virus to similar ailments, spearheading vaccines that could be used against Polio, amongst other diseases. 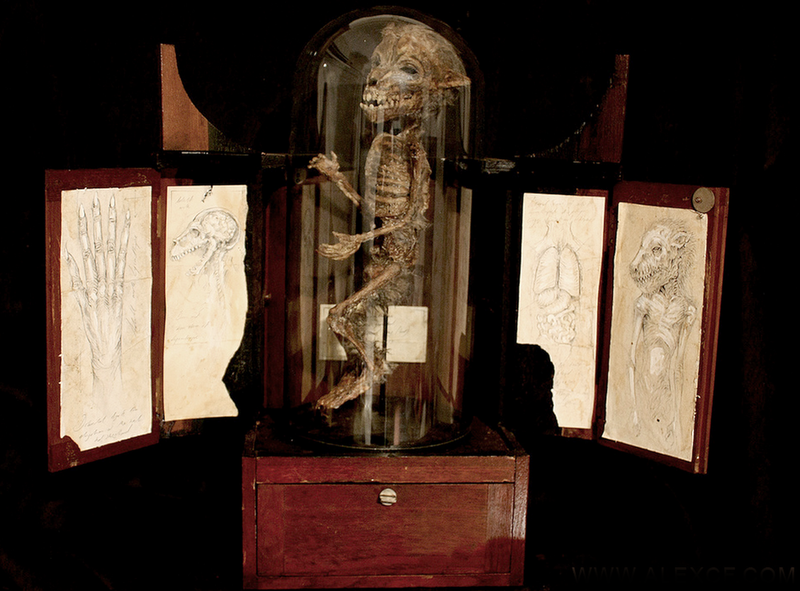 On various occasions his specimens were used in presentations to raise awareness of these cases, and one such display was a Lycanthrope. We can only ascertain that Harrell did not present these examples as "lycanthropes" -more likely an inflicted individual of the Lupus strain. Lycans are indeed a species, the symbiotic nature of the pathogen within their blood is transferable to other hominids, as we share a common ancestor. The virus itself could be considered a remnant of this relationship which evolved into a single species, with new born Lycans carrying the virus at a genetic level, which has a perfect equilibrium with the host. 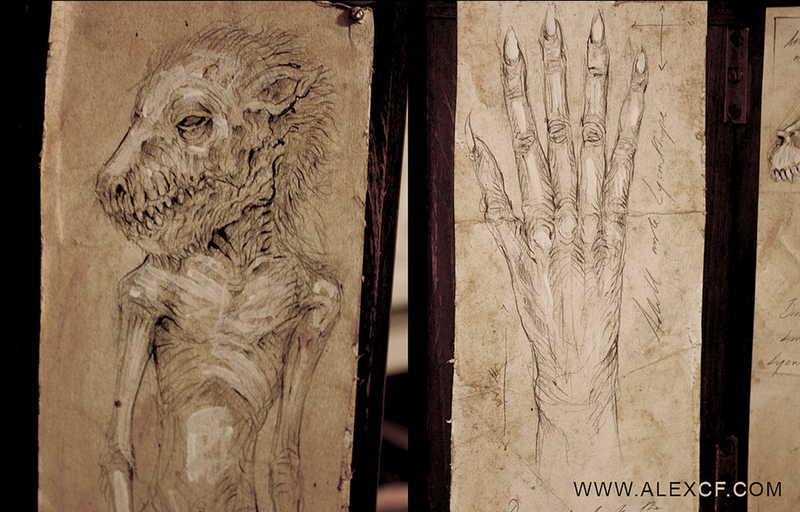 Cases of infection in humans are rare due to the low numbers of lycans and the unlikelihood of infection. 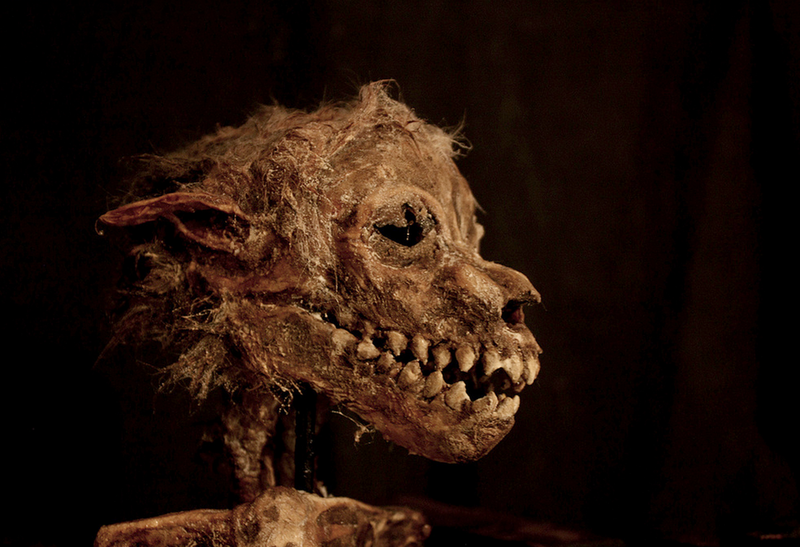 This lycanthrope cannot be identified as a new born lycan or an infected human who gave birth to this infant. 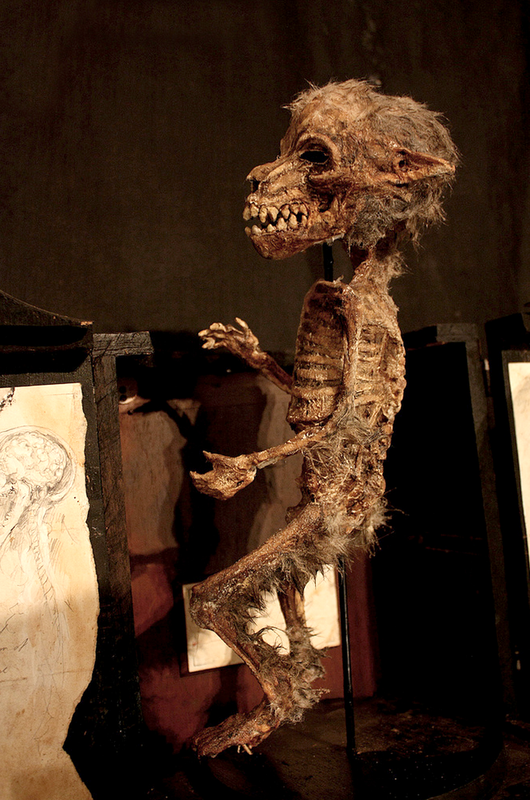 Regardless it was born Lycan, yet suffered some degree of malformation of the lungs. 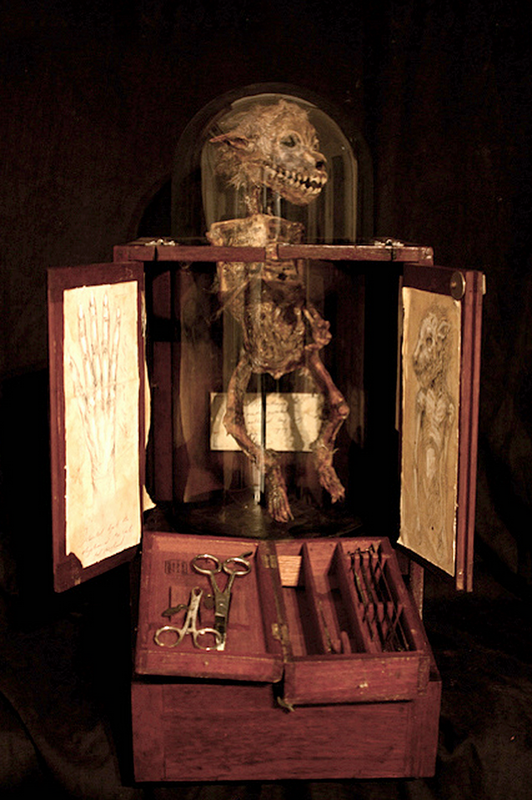 The specimen is presented in a lovely cabinet which unfolds to show a series of illustrations depicting lycanthrope anatomy. The drawer below this, a large dissection case.